The best place in Albania to shop for traditional crafts is Kruja, less than an hour from Tirana. The bazaar there has felt-makers, rug-weavers and antique dealers. Many of the Kruja shops sell small souvenirs such as Albanian flags, copper plates and ashtrays in the shape of bunkers. 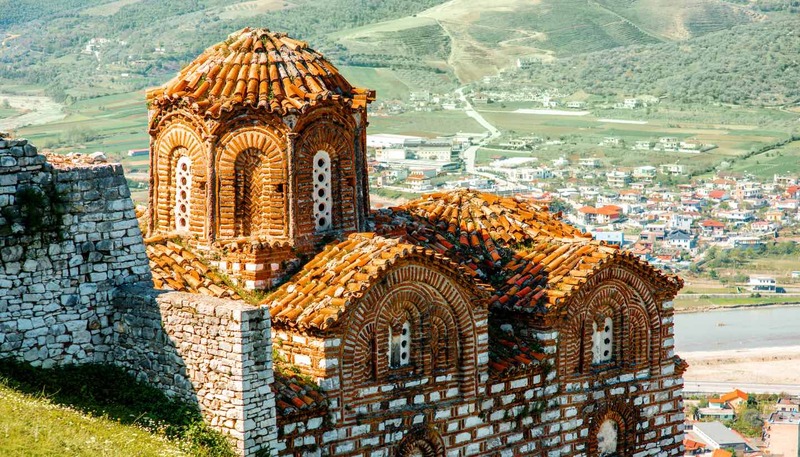 Apart from Kruja, there are a few souvenir shops in Tirana, an artisans' co-operative in Gjirokastra and a souvenir stall at Butrint. Nightclubs in Tirana stay open until very late. The music is sometimes live, especially at weekends. Outside Tirana, clubs of this sort are less common; in the coastal towns during the summer tourist season, music and dancing is laid on in the big hotels. The local cinema chain, Millennium, has branches in all the large towns. They usually screen Hollywood films with Albanian subtitles. Albania has a high standard of classical music. Opera, ballet and concert performances take place throughout the year in Tirana.